Cruel prank idea: Tell your American friend it’s whipped cream and jam and watch them experience the most intense sensory bafflement of their lives. Recipe here. 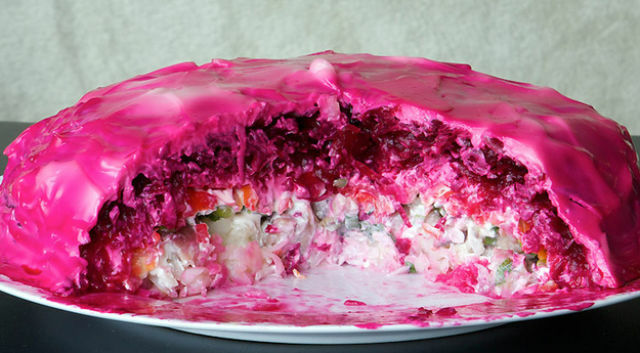 Imagine a cake layered with salted herring, cooked vegetables, and a coat of grated beets and mayo. It sounds gross but it’ll grow on you, just like an actual fuchsia fur coat might. Recipe here. 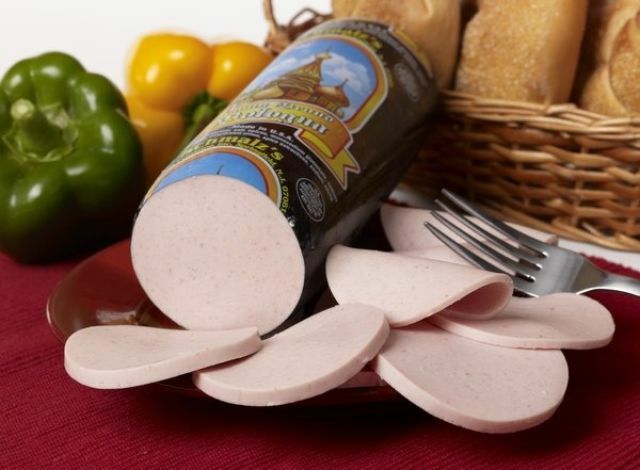 It’s the spongy lovechild of bologna and sausage, and every Russian-American kid who brings this in a sandwich for lunch is gonna get asked a lot of questions. 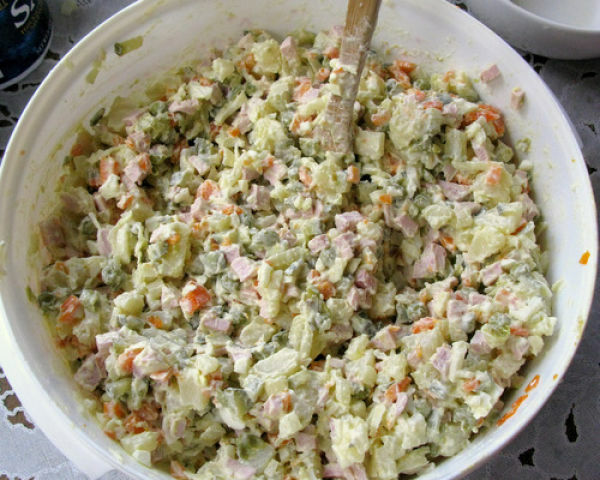 It’ll probably freak non-Russians out a little, but really, it’s just potato salad if it was jacked up on more veggies, mayo, and the aforementioned bologna. Looks foul, tastes incredible. Recipe here. Pickled mushrooms, pickled tomatoes, pickled cabbage. All of this gets significantly tastier once you’re old enough to use it as a vodka chaser. MEAT JELLO. The concept never feels completely normal, but it’s delish and fun to play around with! And look at all the shapes you can make! Recipe here. 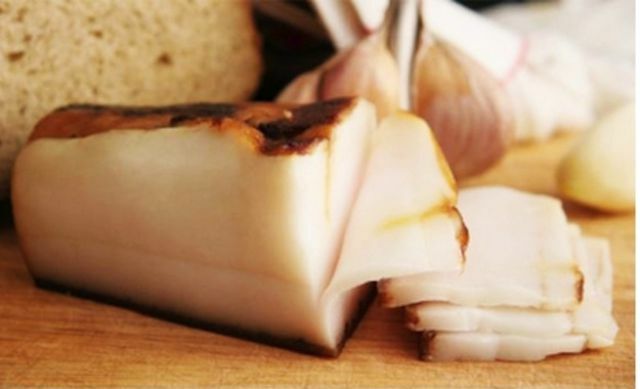 It’s raw pig fat, and the more of it you have, the better! 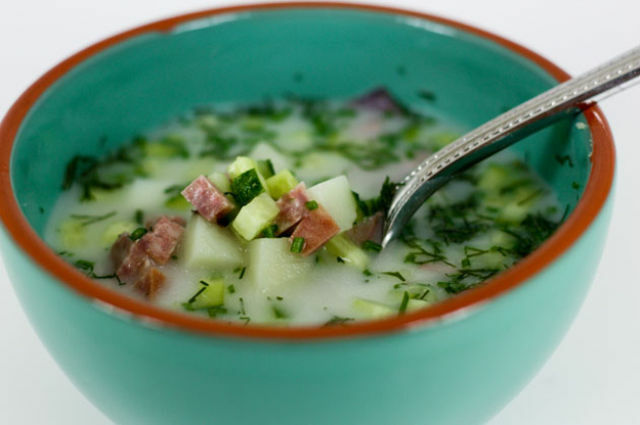 It’s cold kefir with cucumbers, bologna, and dill — it’s like all the ingredients rejected from soup in the past got together and decided to puzzle us all. Recipe here. 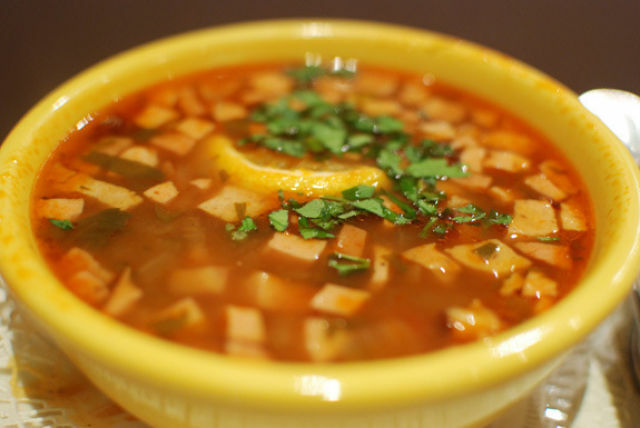 Every type of meat + every type of sour thing = soup? We’ll roll with it. Recipe here. 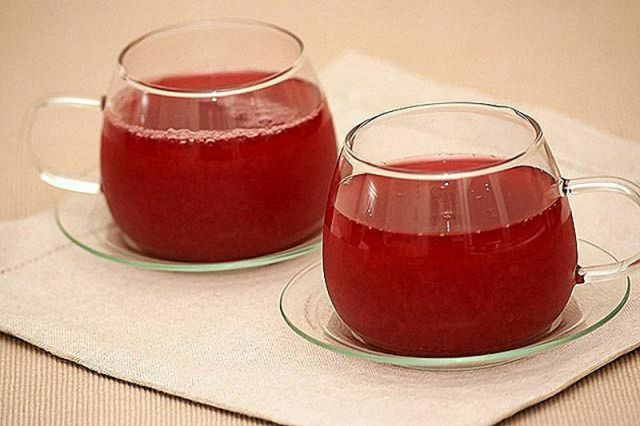 “Fruit soup” made from fruit juice and starch and commonly served as a dessert. In case you weren’t sure yet, soup is kind of a big deal. Recipe here. 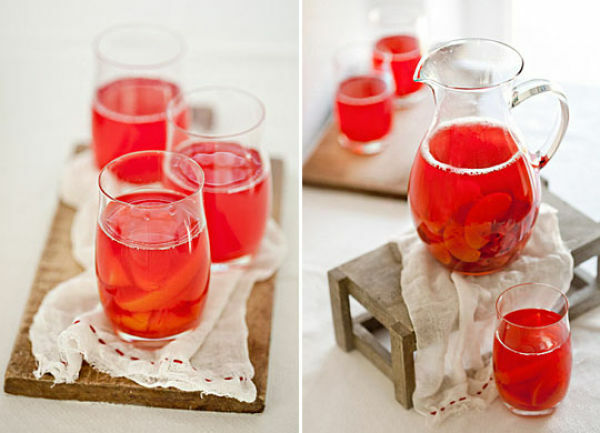 This one’s basically Eastern Europe’s version of fruit punch, except that it’s made by boiling fruits in water, which just seems like a more complicated way of going about the whole thing, but is totally worth it. Recipe here. (Not to be confused with salad dressing.) 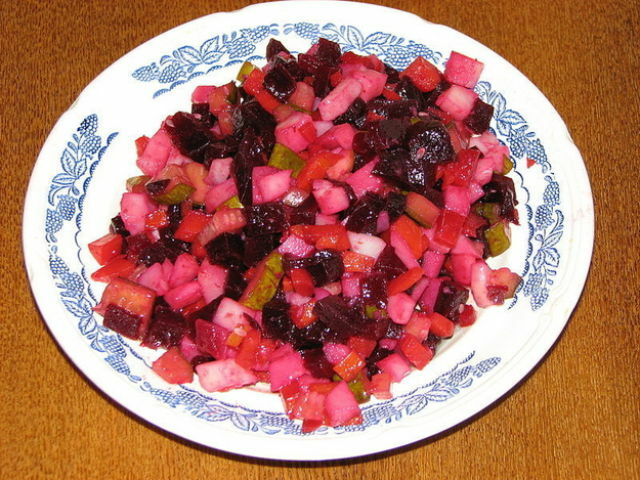 Beets, potatoes, pickles, and pickled cabbage are the vegetables used most frequently in Russian cuisine, so it’s no real surprise that they have a super healthy dish of their own. 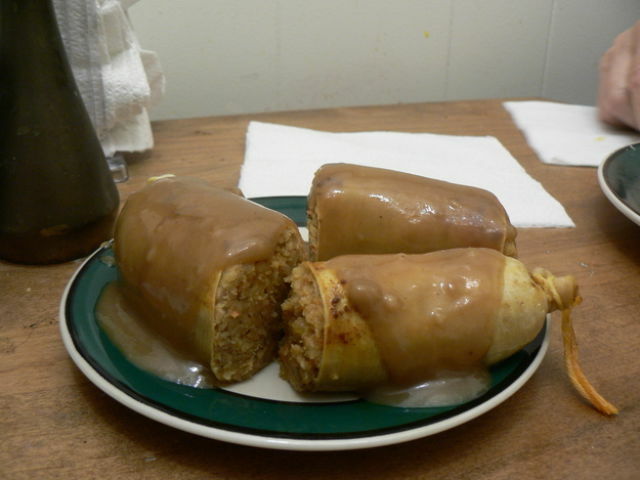 Recipe here. Russians do not pickle cabbage. They ferment it. Pickled cabbage is either Georgian or Korean. 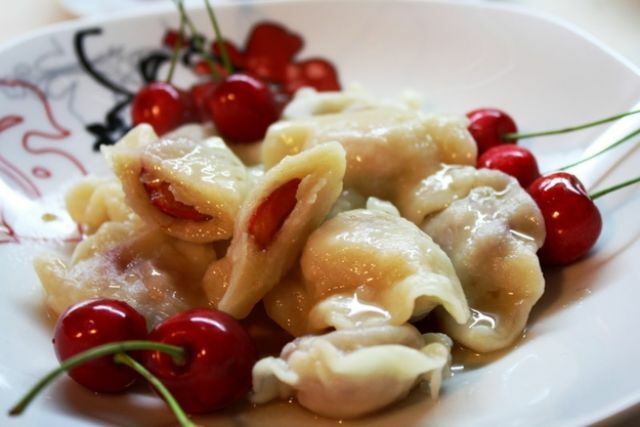 And Russians never eat fat raw (7). We salt it. Try to un-der-stand it. Corned meat is no more raw than salo is. 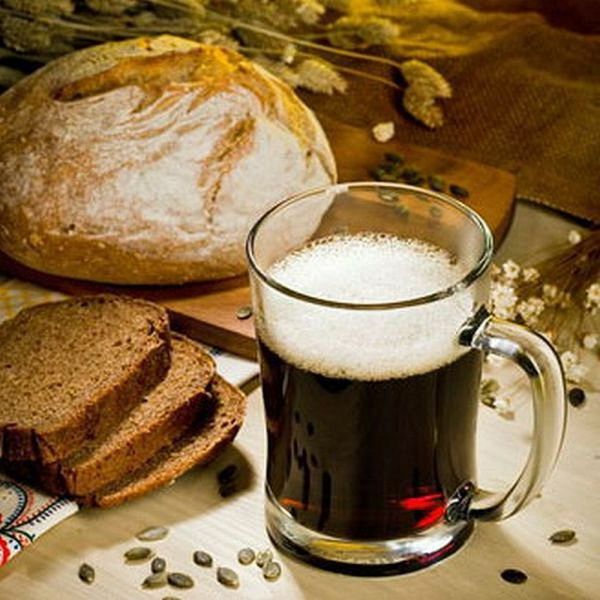 Kvass is a very specific sort of close-to-zero-alcohol beer. No concoctions, you ignoramuses. And there's no honey in traditional recipes, only brown bread, yeast and sugar. 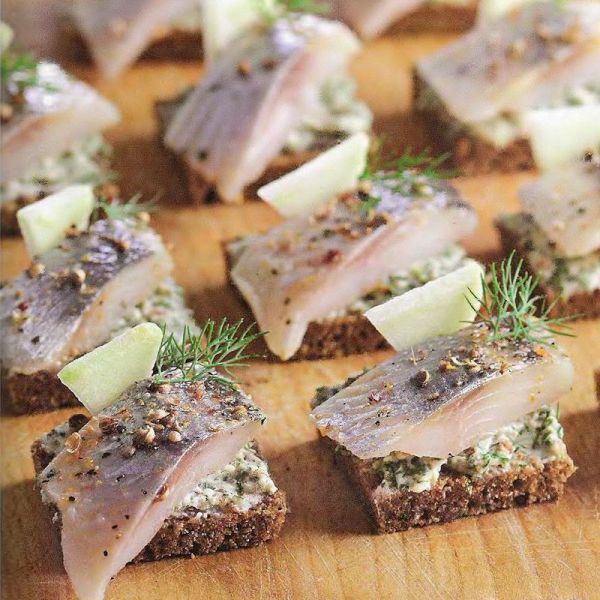 Herring-mayo-and-pickle sandwich? WHY NOT, but the picture makes it as plain herring with a bit of onion. WHO STOLE THE PICKLES? 10) somebody fooled youy guys. 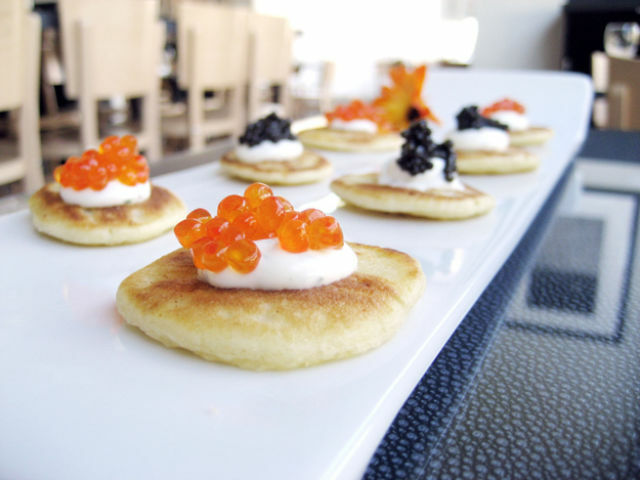 The Russian dish is Kvass-and-Smetana-based. 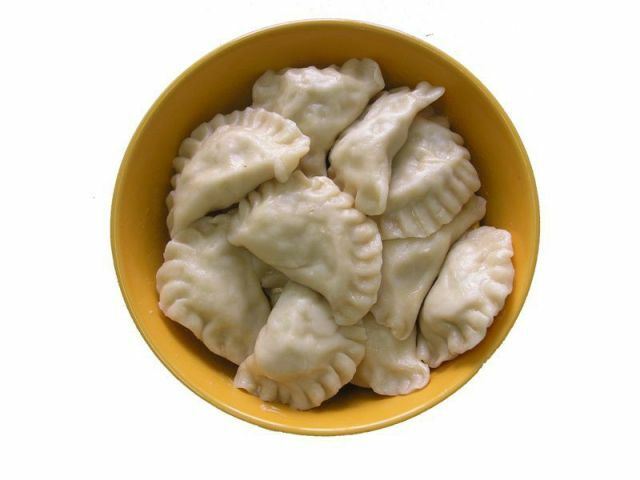 Kefir is needed for the Polish/Lietuvan/Buelorussian sort of Okroshka. What about me saying that all Americans eat only Kosher food? 13) THE ALLEGEDLY RUSSIAN DISH "KISHKA" PUZZLES ALL THE RUSSIANS THAT HAVE READ THAT CRAZY STUFF (several thousand, I guess). THEY|WE HAVE NEVER HEARD OF. Something like that should exist in Poland. All in all, the picture looks like Haggis. 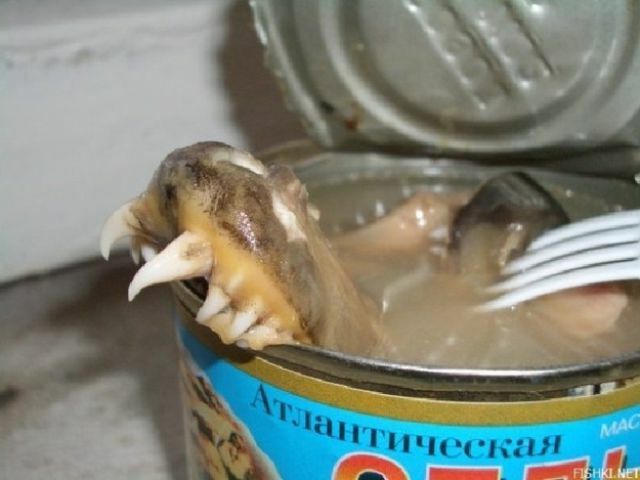 18) canned atlantic herring from this picture is a cheap food for booze addicts. Cheap, almost not nutritious, no taste at all compared to canned salmon, which is really traditional. I bet they meant krovyanka or zelts, what the hell is "Kishka"?